Last night, my friend and yours, @gibbslamey dropped me a line to tell me about this. 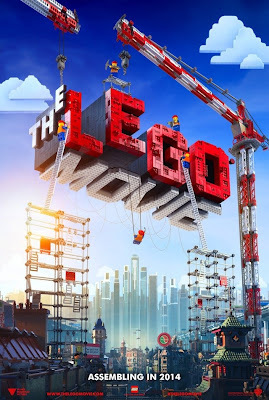 And I physically had to restrain myself from running upstairs to wake the Dude and shout: "There's going to be a LEGO MOVIE!!!!!" And apparently lots of jokes for us grown-ups who will most certainly be bringing our kids to see it! And quite the cast: from Morgan Freeman to Elizabeth Banks (loved her in Scrubs), to Liam Neeson and Will Ferrell and even Will Arnett as Batman.